So last weekend I attend one of two annual events hosted by Russell Guire’s company Centaur Biomechanics. It was held at the Unicorn Trust in Gloucestershire, which was absolutely lovely (although a day spent on wooden benches wasn’t the most comfortable, but they had pre-warned us so I was a proper middle-aged woman and nicked the sofa cushions to take with me!). The clinic was presented by International List 1 dressage judge, Stephen Clarke, who has judged Charlotte & Valegro at the Olympic Games, so has a bit of an idea about this dressage lark… The format of the day was a series of coaching sessions with a variety of different horses & riders, from Novice to GP level. I can honestly say that is was totally engaging and inspirational. I was a total geek and sat there absorbing all the coaching gems from Stephen, and jotting them down in my notebook; I just wanted to get the absolute most out of the experience. What I absolutely loved about the day was seeing that even professional riders get things wrong, and struggle with certain things; they’re only human too! One of the best examples of this was a National level rider with experience at Grand Prix who was finding it difficult to ride walk-canter-walk transitions on her gorgeous 5 year old horse. It was fascinating to see Stephen coach her through these issues in such a positive and non-confrontational way, so that the rider remained firm in what she was asking of the horse, but with absolute respect & kindness for the horse. The outcome was that the horse began to understand more clearly what the rider was asking, even though he found it difficult. Stephen’s ethos was very much about riding the horse in one of two clear ways; either (a) up to the bridle, with the poll as the highest point, or (b) stretching long & low, into a contact & with the nose in front of the vertical. He explained that at lower levels, many riders ride their tests in a ‘half-way house’, with their horse neither through into a correct contact nor stretching. His approach to training was logical, progressive and firmly based on the correct foundations in the horse’s way of going, before even thinking about more advanced movements. 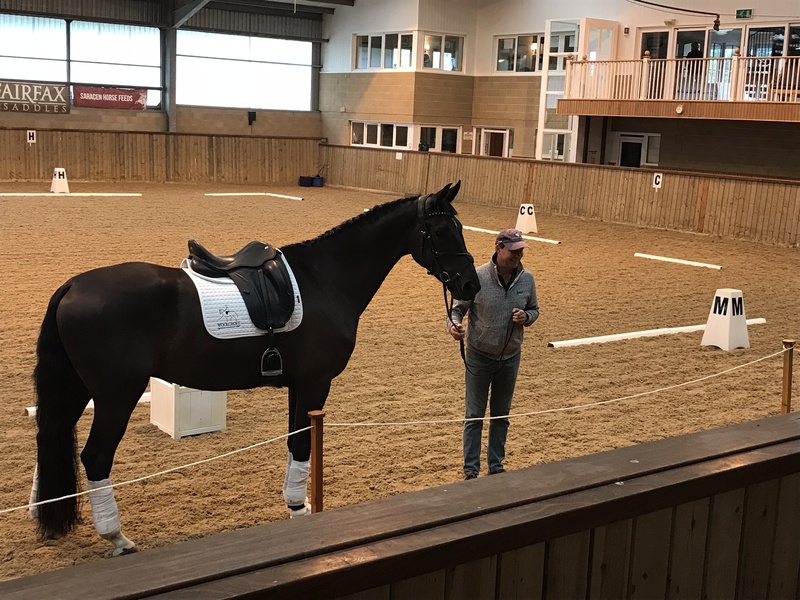 Stephen explained that even for higher level dressage, if the fundamental principles of rhythm, balance & suppleness are not established, then problems are inevitable. There were many opportunities for questions from the audience, and some really valid & interesting points were raised. One in particular struck a chord, in that what do judges think to different breeds of horse competing in affiliated dressage competitions. Stephen answered eloquently in that first and foremost, dressage is about enhancing the horse’s natural ability; some horses will be better able to collect, i.e Andalusian/Lusitano horses, while others will be better able to extend, i.e. European warmbloods. 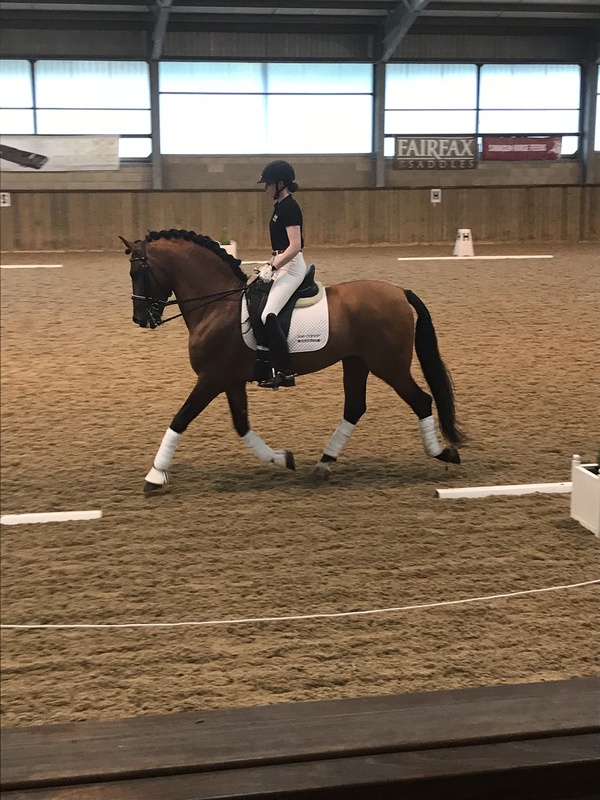 He was clear that no horse can be perfect at everything… although he did note that Valegro was probably as close to perfect as we are ever going to see! Stephen explained that when judging, he’s looking for evidence of correct training & correct way of going; he doesn’t care what breed the horse it, the principles should be the same. I was totally inspired by the day! By no means am I a top dressage coach (although everyone’s gotta have goals, right?) but it was so lovely to hear that what I try to train with my clients and horses, is reflected by the very best in the sport. I’ve taken away huge amounts from the event, and will definitely go again; I love going out to do some continuing professional development, and while its a requirement of my accreditation with the BHS, I would do it anyway! I’ll finish with two things which Stephen said that really resonated with me; “Don’t be afraid of making mistakes” and “Perfect will come later”. These are so very true for many aspects of riding and life in general! I’m now looking forward to the Centaur Biomechanics Equine Sport Science conference in October, where I can feed my geekiness and get into the science behind horse performance… happy days!